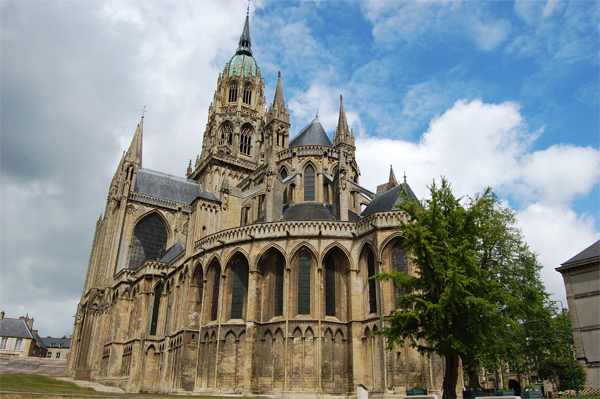 Bayeux is a city of Normandy with a beautiful preserved heritage. The city is nicknamed “Capital of D-Day landings”. Bayeux is also very famous for its tapestry, registered in Unesco’s Memory of the World. The embroidery features the conquest of England by William the Conqueror. I love this brand and the products. The store of Bayeux out stands thanks to its smiling team, polite, kind and always available. Google review - Typhaine A. A lot of woollen clothes, a large range of whiskies, cakes and teas...A very nice sales woman!. Google review - Alexandra S.
A lovely store and a great staff! Google review - Lucas P.